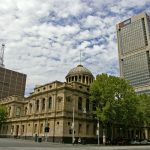 The South Australian Government is so happy with the results of Operation Persist, which uses information from prison inmates to help solve cold cases, that it has begun rolling out the next phase. 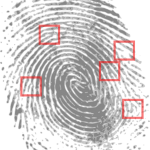 Launched in 2015, the Operation encourages inmates to assist with cases that have stumped investigators for years. Since the initiative began, more than 80 calls had been made by inmates to police. These have helped secure two cold case murder convictions, being the 1998 killing of Dale McCauley and the 2012 murder of Jayson Doelz. Another four cold case murders which received information from inmates are currently before the courts, including the 1994 National Crime Authority bombing of Detective Sergeant Geoffrey Bowen and the 2005 murder of Martin Meffert. Phase two of the campaign involves images of 100 cold case victims being run on constant rotation on television screens in four of South Australia’s prisons – the Adelaide Remand Centre, Mobilong, Yatala and Port Lincoln prisons. The campaign also features photos on playing cards used by inmates and visitors. Every year, more than 6,000 people pass through the South Australian prison system. The Program’s rationale is that due to their potential criminal connections, inmates may know something which is turns out to be vital in providing closure for the families of victims. 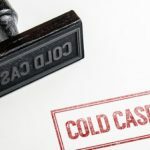 In some cases, there are significant financial rewards for information that directly contributes to solving cold cases, provided they are not involved in the crimes in in any way. In New South Wales, Police are offering more than $22 million in reward money for information about 233 unsolved cases. The most significant reward on offer is for information related to the disappearance of toddler William Tyrrell. The $1 million reward was posted on the second anniversary of young William’s disappearance. Rewards generally range from $1,000 to $500,000 for the posted missing persons cases, unsolved homicides, and other serious crimes. What makes one case worth more than another? Police say that rewards are set according to the tactics involved in solving the case. The biggest awards are, however, normally reserved for cases that involved a great deal of media attention. And rewards can increase as time goes on. 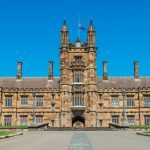 The upper limit in NSW is $1 million – a figure set in 2011, before which rewards were much lower. Whether or not rewards actually solve crimes has long been an issue for debate. 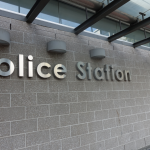 But Police believe they offer a valuable incentive to those who might otherwise be unwilling to come forward and render assistance. Witnesses and informants are often concerned about the risks of reporting a crime, including retribution by those involved and their associates. In other cases, they may simply not want to be involved in a stressful investigation. People who come forward can also be assisted with witness protection or a change in identity. And valuable assistance to authorities can be taken into account during any sentencing proceedings, in accordance with section 23 of the Crimes (Sentencing Procedure) Act 1999. The rules relating to the payment of rewards can, however, be very strict. In some cases, they are only paid out if the information leads to directly to a conviction, rather than provides an investigative lead which allows authorities to eventually join the dots together. In cases where the information is highly probative and directly leads to an arrest and a strong prosecution, the informant may not be paid out if the defendant is acquitted after a trial. 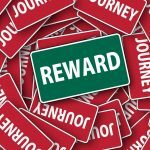 At times, a reward may only be partially paid, depending on the quality of information given, and the impact of the information on solving the case. Police officers are forbidden from applying for such awards, as are co-offenders.